Watching the testimony in front of the house judiciary committee last night, I was most struck by the Testimony of Dakota county county attorney Jim Backstrom. 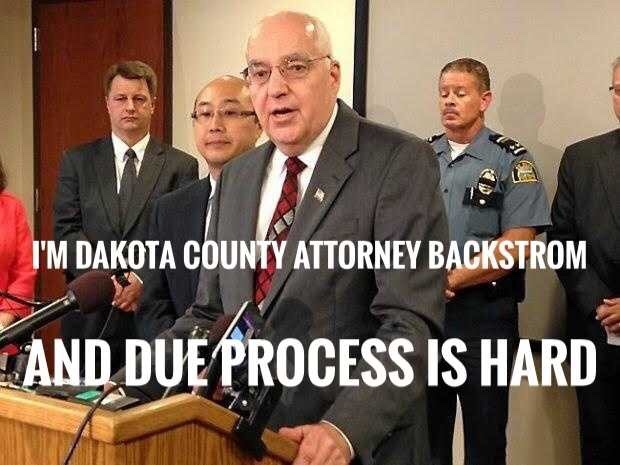 It would seem Mr. Backstrom considers due process to be a hindrance in doing his job. Mr. Baxter may be one of the most loathsome people in public life in Minnesota – as we showed some years ago, this very same topic. Layers of gatekeepers out here, Merg. I don’t see any link to what he did this time. I’m assuming he’s backing a bill that would confiscate guns for a “red flag” situation without reasonable restrictions and the opportunity to have it quickly overturned?